This new FootJoy SYNR-G golf shoe has some interesting technology and features and claims to be the most stable FootJoy ever. SYNR-G comes in 4 different colors: White Lizard Print/White Smooth, Brown Lizard Print/White Smooth, Black Lizard Print/White Smooth, and Black Lizard Print/ Black Smooth. 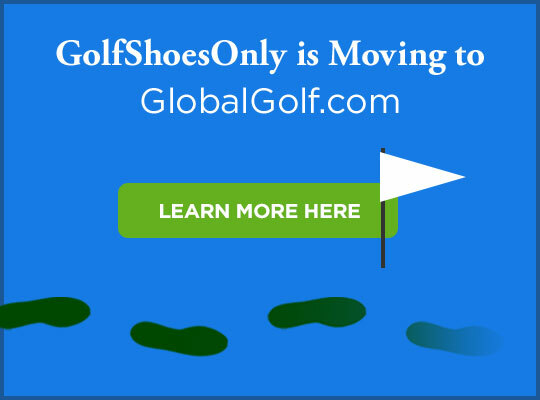 One of the first golfers to sign up for this new shoe is Padraig Harrington. Harrington will wear the new SYNR-G shoe, which debuts in January, 2009. FootJoy states that the SYNR-G shoe is a perfect combination of comfort and stability and is engineered for players such as Harrington who possess higher swing speeds and demand additional support and motion control in their golf shoes. “FootJoy is a brand that just about every young golfer is brought up wearing, and I was no different,” said Harrington. "The belief should be that you are using the very best shoes available, which will give you an edge over the field. The new SYNR-G shoes from FootJoy are fantastic. They support the foot well throughout the golf swing, which is so important to hitting solid, powerful shots."